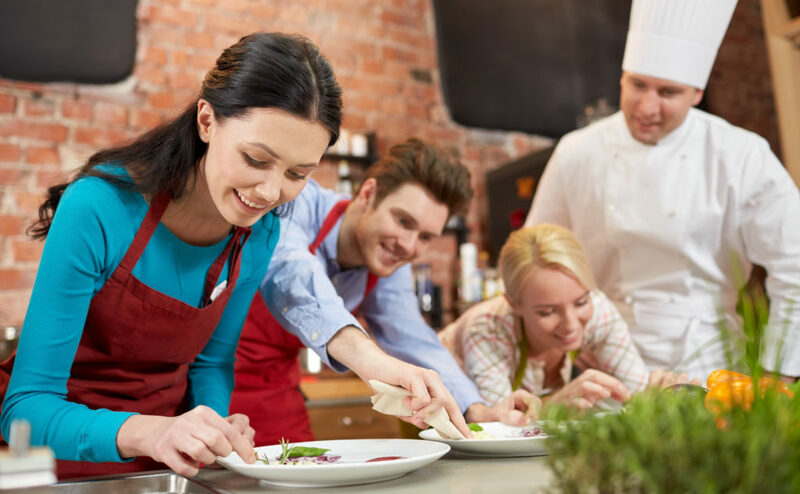 Whether you’re looking for a new approach to team building, a chance to spend a fun night out with your friends, something different to do at your family reunion, or an alternative to the same old bridal shower activities, The Chef’s Hat can create the perfect culinary event for you. We’ll work with you to come up with a theme that meets your goal for the event, and that’s fun for everyone in your group. Participants will get hands-on cooking time and a chance to try everything they prepare. Plus, we guarantee lots of laughs along the way. Come to The Chef’s Hat kitchen, or we can come to your home, office, or other off-site location. We’ll provide everything you need to put on a first-rate group event—you just provide the participants.